Austrian Gold 100 Coronas struck at the historic Austrian Mint include nearly an entire ounce of gold bullion. This helps to make them beloved with collectors and investors alike for their significant quantity of the yellow metal. Collectors especially like the regal and classical design featuring Hapsburg Emperor Franz Josef I. It is not hard to imagine why these striking and historic pieces remain an enduring favorite of the world gold coin collecting and investing set. Photo Courtesy of Modern Coin Mart. There is no nation which is more representative of the old classical order of Renaissance Europe than Austria. This beautiful and timeless land is the long-time home of the world renowned Hapsburg Dynasty that ruled as unrivalled overlords of most of Central Europe for almost 700 years. The emperor depicted on the back of the Austrian Gold 100 Coronas is often stylized as the last of the great monarchs of Europe. He referred to himself as the last monarch of the old world. These Austrian Gold Coronas were the first golden currency of the Austrian Empire. They were introduced in the 1892 currency reform. Before the 100 Corona coins, the empire issued 10 Corona and 20 Corona (or crowns) denominated face value currency. These replaced the gulden which had been in use officially up to this point. In 1908, the famed Austrian Mint issued its bigger Gold 100 Coronas in honor of the diamond jubilee of Emperor Franz Joseph. These coins were no longer minted for currency purposes after 1915. Photo Courtesy of Stamp Exchange. The coin is rich in history and possesses a significant amount of numismatic, collectible enthusiasm because of its standout design, relative scarcity, and history. Such Austrian Gold 100 Coronas are not as rare as they might be because the Austrian Mint reissued many of these pieces in the forms of re-strikes. Because of this, the coins do not have a commanding premium over the usual spot price of gold. These coins had an interesting role for investors and collectors alike through the 1970s. They were among the most popular of choices for gold bullion in that decade because they served the purpose of bullion coin in the pre-Krugerrand, pre-Canadian Maple Leaf, pre-American gold Eagles standard eras. This is why they were the bedrock of many investor and collector coin portfolios back in the day. The coin investing and collecting world refers to the front side of coins as the “obverse.” Austrian Gold 100 Coronas contain a striking right facing image of the last great Hapsburg Emperor Franz Joseph, who was not only Emperor of Austria, Bohemia (Czech and Slovak Republics), and Croatia, but was also the King of Hungary. The inscriptions around the rim of the obverse pay tribute to this fact that Franz Josef is Emperor of Austria, Bohemia, Croatia, and King of Hungary. Photo Courtesy of Coins Home. The rear side of all coins is always known as the “reverse” in the world of numismatics. Austrian Gold 100 Coronas portray the imperious double headed eagle which the Hapsburg dynasty used. The two headed eagle looks both west and east. In its right talon it grasps the sceptre and sword. The left talon holds the cross-bearing orb known as the globus cruiger. Besides this coat of arms on the reverse, the top rim bears the inscription “Corona” to the left of the imperial crown and the Roman numerals for the coin's date to the right of the crown. Towards the bottom left, it states “100” and to the bottom right “Cor” for Corona. The bottom center of the reverse depicts the standard Arabic number version date of the coin. Austrian Gold 100 Coronas all were issued with legal tender status in the Austrian Empire until their last year of 1915. The face value was a considerable sum at the time, though it is no longer meaningful as Austria has long ago abandoned this currency unit in favor of first the Shilling and eventually the Euro. The intrinsic value of the gold in these pieces means that they are still enormously valuable though. With nearly a full ounce of gold contained inside, these coins trade for over $1,100 apiece. Their intrinsic value varies with the spot price of gold, and as their supply is greater than the still-considerable demand for them, they do not bear much premium over spot gold prices. In reality, it is the intrinsic value of the coins which determines the market value and prices for these Austrian Gold 100 Coronas. These market prices work out to be the ultimate value of the coins as they are contained within an investment, retirement, or collecting portfolio. Their premium over spot gold prices is minor since they are not rare. Actual market value of these coins is therefore almost entirely dependent on the shifting daily prices of gold spot on the world markets. It is easy for you to reference the real time spot gold prices by clicking this link to go to our homepage. Can IRA Accounts Contain Austrian Gold 100 Coronas? The American based Internal Revenue Service decides in its sole discretion which gold bullion coins they will permit to be held within IRA accounts and which they will not. Such self directed IRA account are only allowed to contain the limited range of bullion coins which measure up to a demanding purity and collectability dual standard which the IRS sets themselves. The government mandates that these accounts be opened up with minimally $5,000 in qualified gold or other precious metals bullion pieces. Subsequently, you can always make an additional purchase whenever it suits you for minimally $1,000 in other approved coins. 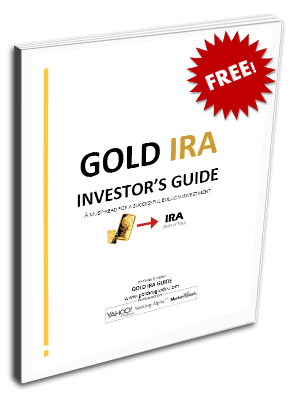 In the event that you currently possess a more traditional form of IRA retirement vehicle, they will permit you to roll over the funds into a precious metals IRA. Austrian Gold 100 Coronas unfortunately do not meet the exacting .995 gold fineness levels that the IRS requires of all coins to be included in these IRA portfolios with their common-for-that-age .900 fineness. As they are not so collectible and do not feature a high premium over spot prices, they would pass on the second IRS standard of limited collectability. Because they fail the gold purity condition which the IRS rigorously enforces, you may not include any of these gems within your precious metals IRA. They still make fantastic choices for other forms of investment and retirement portfolios. You are able to buy these common and classical Austrian Gold 100 Coronas from a wide variety of respected international bullion and world gold coin shops and websites not only in Europe, but around the world.